A quick-witted and devilishly fun thriller, the 1939 classic film is ranked as one of the best British films of all time. This early masterpiece from Hitchcock – the ‘Master of Suspense’ – is brought to life in a new adaptation from the masters of the stage thriller. Celebrated Emmy award-winning actress Juliet Mills’ debut was with her father John Mills in the movie In Which We Serve, aged just 11 weeks! More recently, in ITV’s Wild at Heart, she portrayed Caroline DuPlessis’ sister, played by her real-life sister Hayley. Award-winning Maxwell Caulfield’s numerous big screen and TV roles include starring with Michelle Pfeiffer in Grease 2 and as Miles Colby in the hit American soap opera Dynasty and its spin-off series The Colbys. The cast also features Lorna Fitzgerald, fresh from her shock departure from the role of Abi Branning in BBC’s EastEnders, Matt Barber, Atticus Aldridge in Downtown Abbey, Robert Duncan (Drop The Dead Donkey), Philip Lowrie (Dennis Tanner in Coronation Street) and Ben Nealon (Soldier Soldier). The Lady Vanishes, some will remember, was a Hitchcock film (with a cameo appearance by the man himself) which dates back to 1938 with Margaret Rutherford and Michael Redgrave. 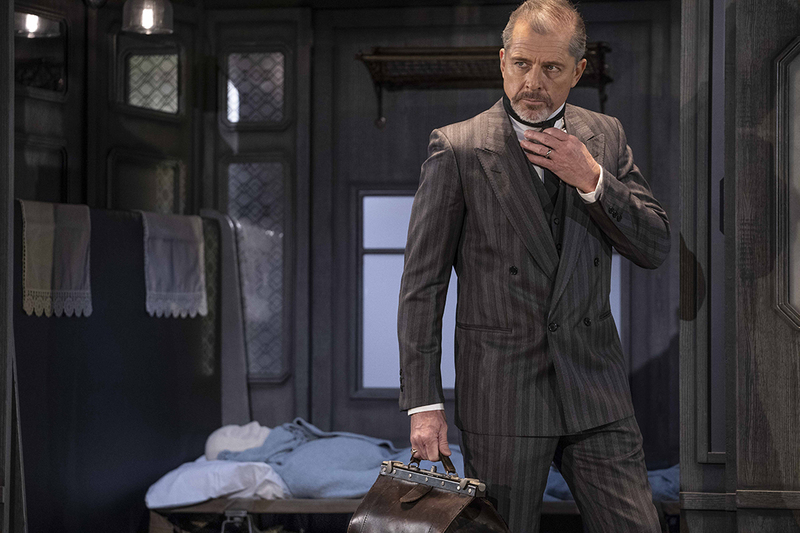 This new version, which brings the action to the stage, stars Maxwell Caulfield, Lorna Fitzgerald, Matt Barber, Robert Duncan, Philip Lowrie, Ben Nealon and, as the lady who does indeed vanish, Juliet Mills. 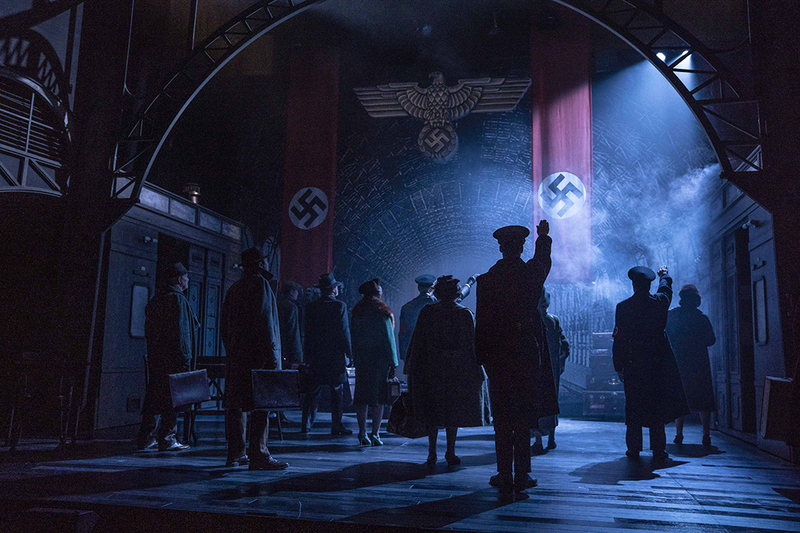 The audience might be surprised by the fact that the initial announcements are in German, but this is soon explained by the unfurling of a Nazi emblem over the railway station waiting area where the first scene is set. A group of English travellers (and Duncan and Nealon certainly play their Englishness to the hilt, bumbling and always looking for their next drink!) attempting to return home but are temporarily blocked by an avalanche stopping progress of their train. 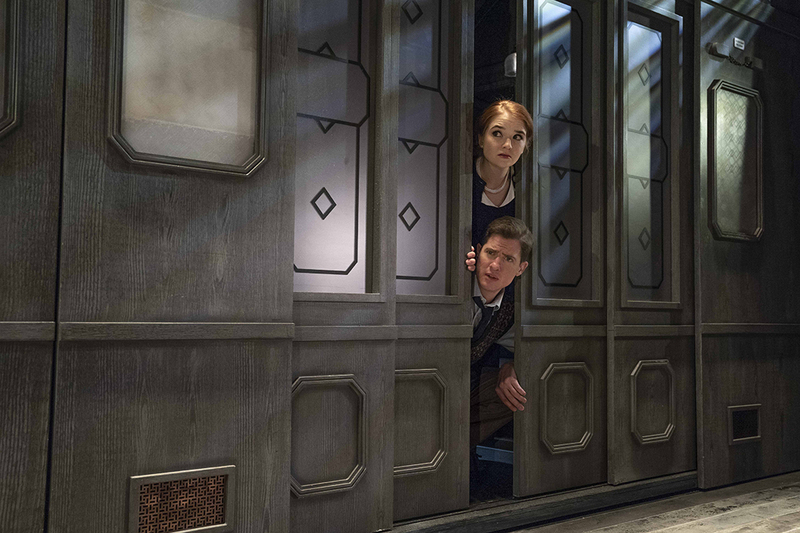 Once the journey recommences, the story moves onto the train carriage itself. Very often played for laughs (highlighting English and Germanic stereotypes especially), there is nonetheless a dramatic – and noisy! 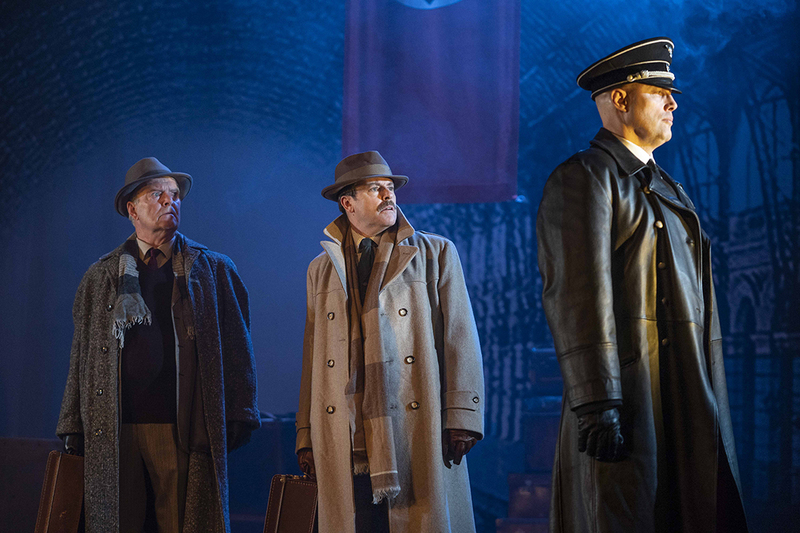 – gun fight and the audience’s ears are also deafened by the stationmaster's whistle. 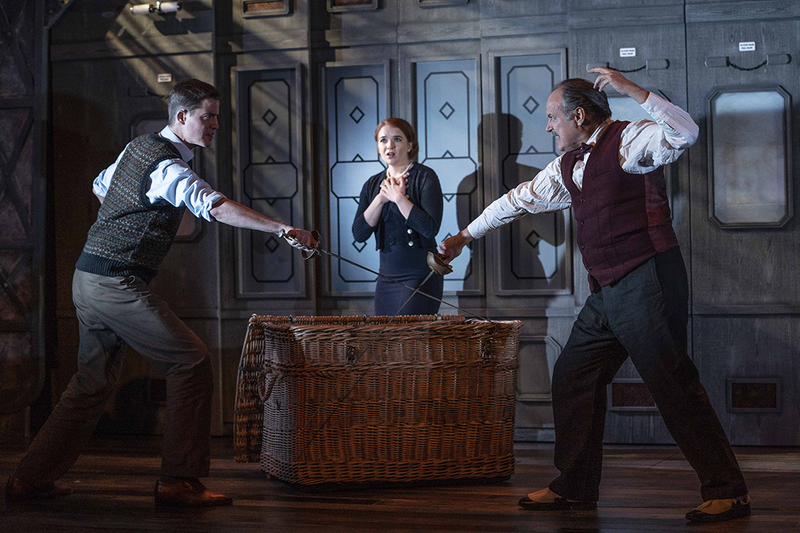 Directed by Roy Marsden, this is another fun and enjoyable production from The Classic Thriller Theatre Company which brings modern production values to a classic story which also includes a nod at the end to the director of the original film. Hmmm. If there were rewards for overacting this would win several. 75% AmDram Noël Cowardesque farce suddenly morphing into the gun shoot at the OK corral. However the rest of the audience clearly loved it. So what do I know. 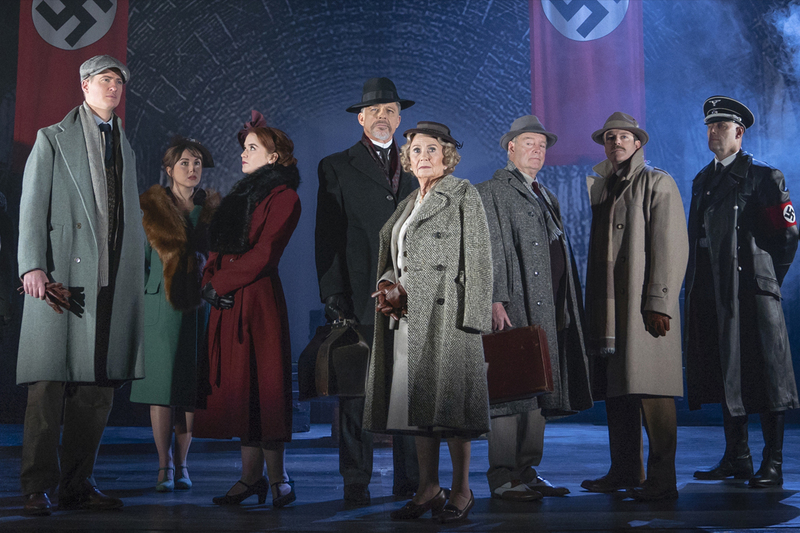 My husband and I really loved this production of The Lady Vanishes. 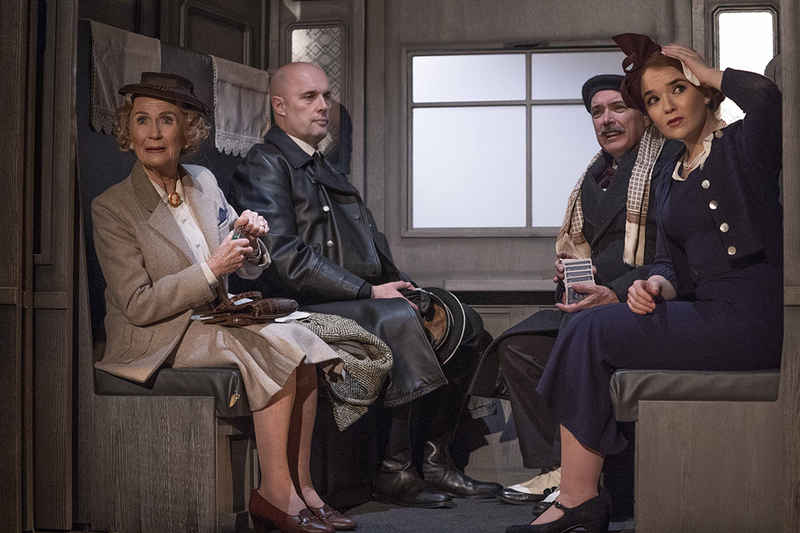 The 1940's set design was atmospheric and cleverly constructed so that it converted believably from station platform, to train carriages as well as luggage and dining cars. It was made more enjoyable by the large cast who all performed superbly so that the story flowed ceaselessly to its dramatic conclusion. There were some lighter comedic moments which gave us some relief but the ending was suitably tense, as well as frantic for a thrilling acknowledgement to the influence of Alfred Hitchcock 'Master of Suspense'. Great theatre! Very,very disappointing. Did not expect a suspense thriller to be executed as a slapstick farce. Good cast and a director who I admire as an actor - but not at all impressed with this production. Cogratulations! They managed to change a suspense thriler into a farce! Highly unrecommended! The audience completely missed any dialogue during the gun scene as we all had our fingers in our ears because it was so loud! Badly performed and badly directed!! One star for the cast turning up and the other star goes to the set design. Awful directing, was positively laughing at the end scene that was meant to be dramatic and the fight scenes seems as if they were directed by a ten year old boy. The acting of the main actress was questionable at best, would not recommend. 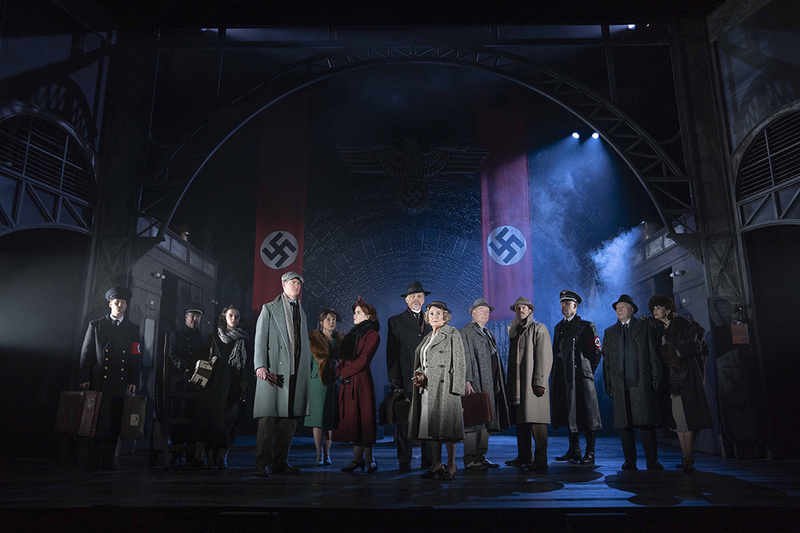 Without question this was the worst play we have ever seen at Malvern Theatres: certainly the only one that we have left before the end. 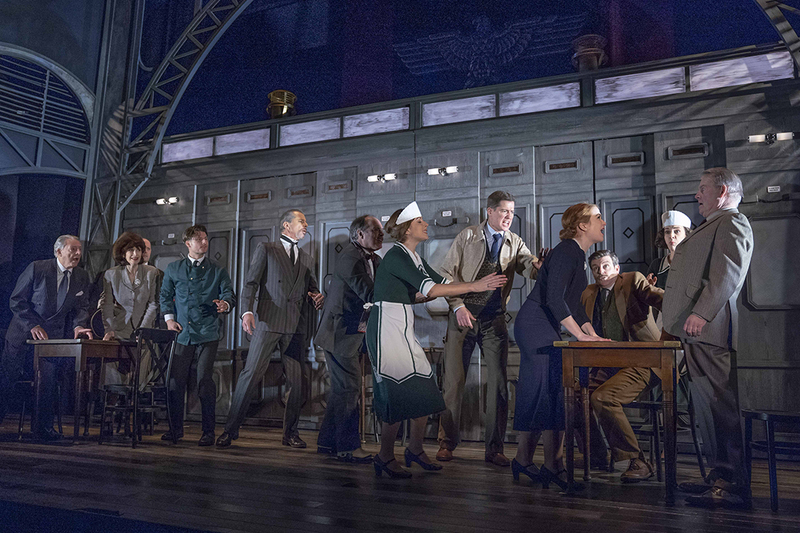 Great set and lighting BUT weak and cliched script and perhaps the most amateurish acting in any professional production I've ever attended. Really enjoyed this play. One or two laughs for us watchers to enjoy. I particularly liked Iris putting her leg up during her kiss. Great acting. 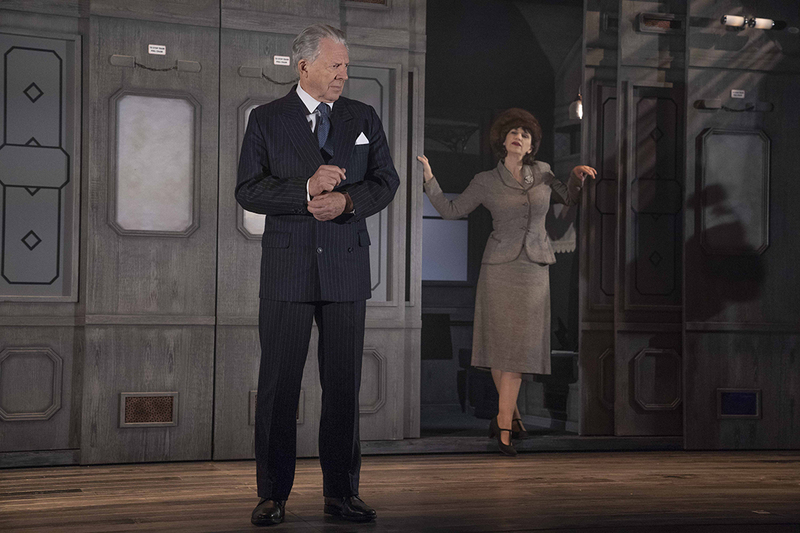 The set and costumes were fabulous. Flawless set changes. I’ve seen film versions of this story and wondered how they’d manage the set. I wasn’t disappointed. Well done one and all. Thouroughly enjoyable.